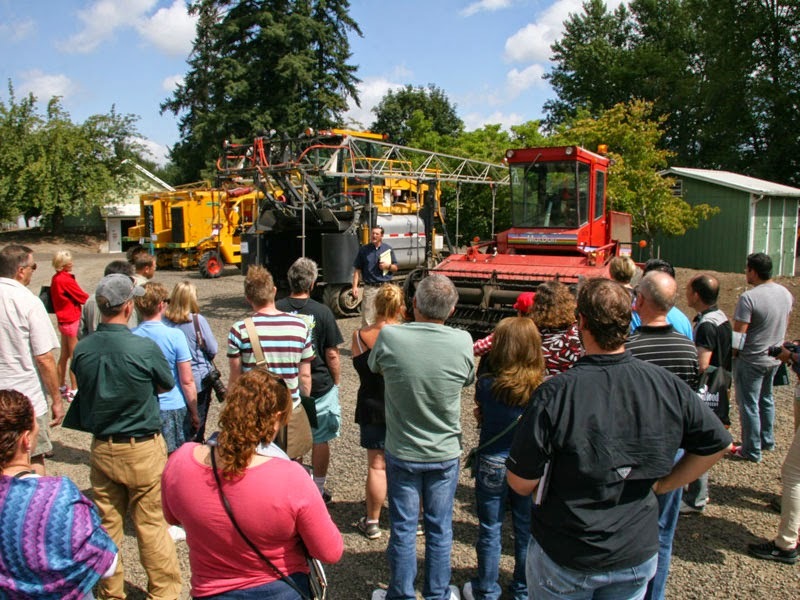 This sold-out bus tour included stops at Youngblood Nursery, Carlton Farms and Monrovia. 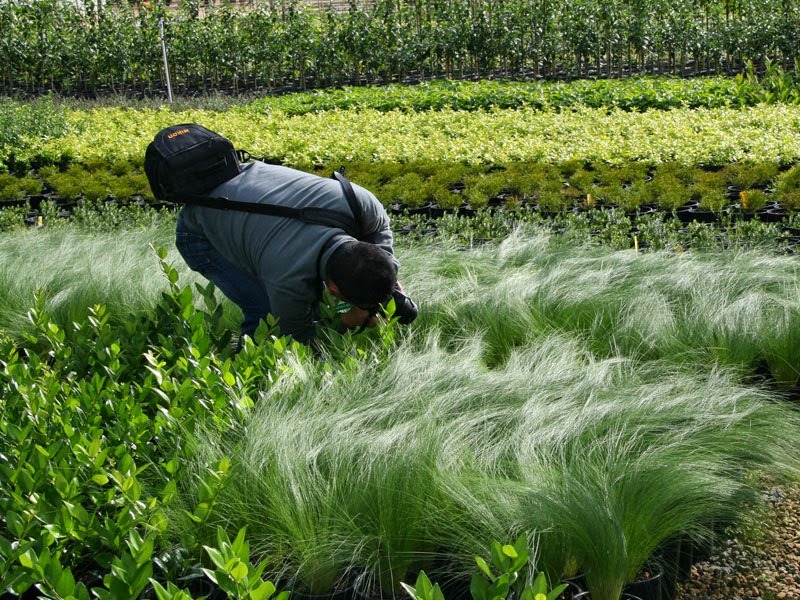 Among the attendees were retailers seeking new and interesting plants, growers wanting a glimpse at exceptional production practices, and the landscape community seeking inspiration. 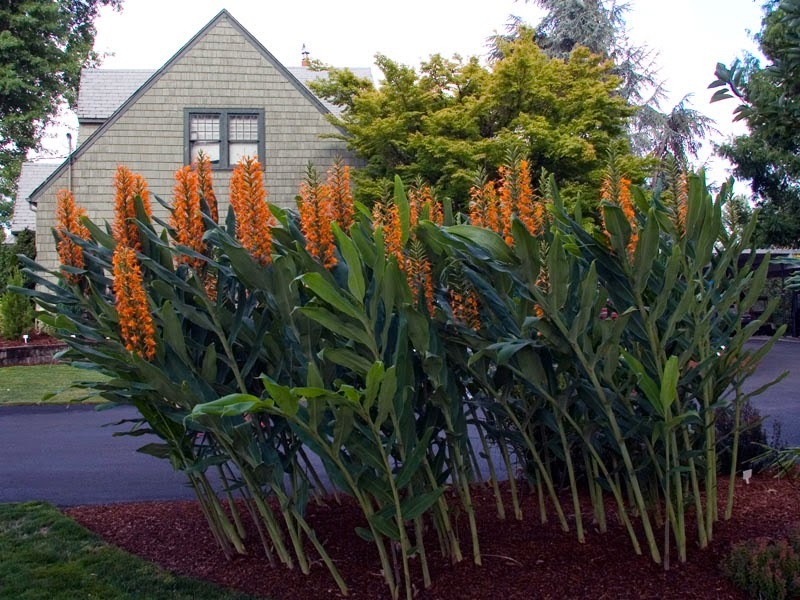 Like a glass of fresh-squeezed orange juice in the morning, a stand of radiant orange bottlebrush ginger (Hedychium coccineum ‘Tara’) in the show garden at Youngblood got the day off to an eye-opening start. Everyone then strolled the container yards, which offered photo opportunities galore. In operation since 1990, Youngblood Nursery is a wholesale provider of woody ornamental nursery stock in containers to retail nurseries, brokers and landscapers. The tour at Carlton Plants started with a display and discussion of some of the key pieces of machinery used at the 125-year-old operation. Back on the bus, we drove to several of the outlying farms where Carlton Plants grows its bareroot shade trees and ornamental shrubs (shown here). 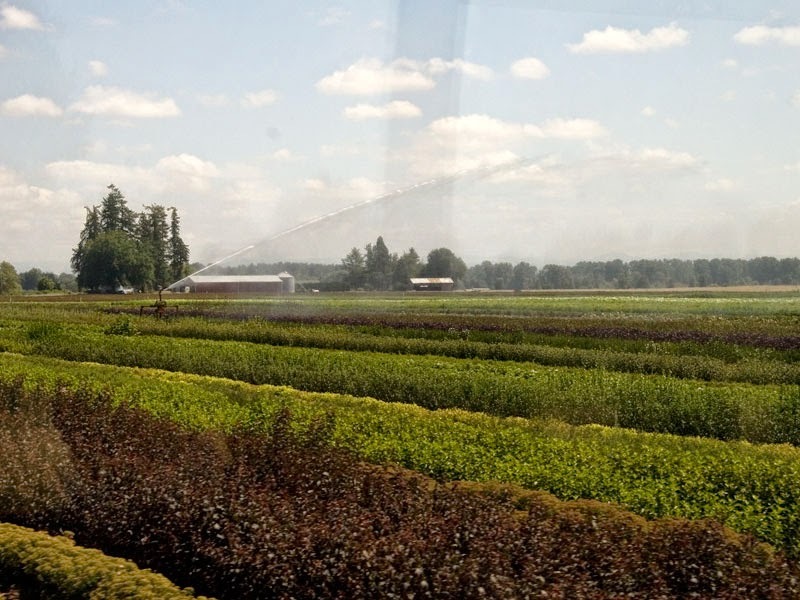 In all, Carlton Plants operates more than 1,700 acres in the Willamette Valley. Soil mix material is one of the keys to the success of Monrovia, a pioneer of container-grown plants. 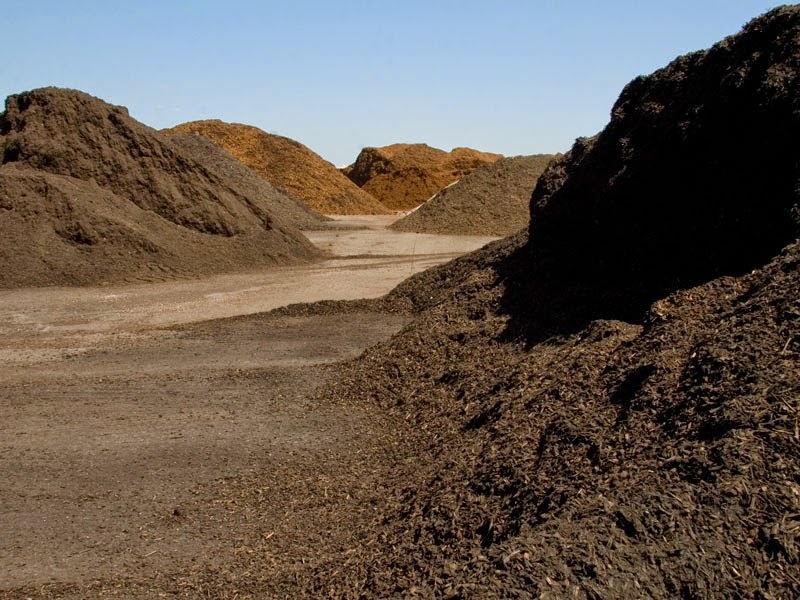 Shown here are a few of their custom compost blends. 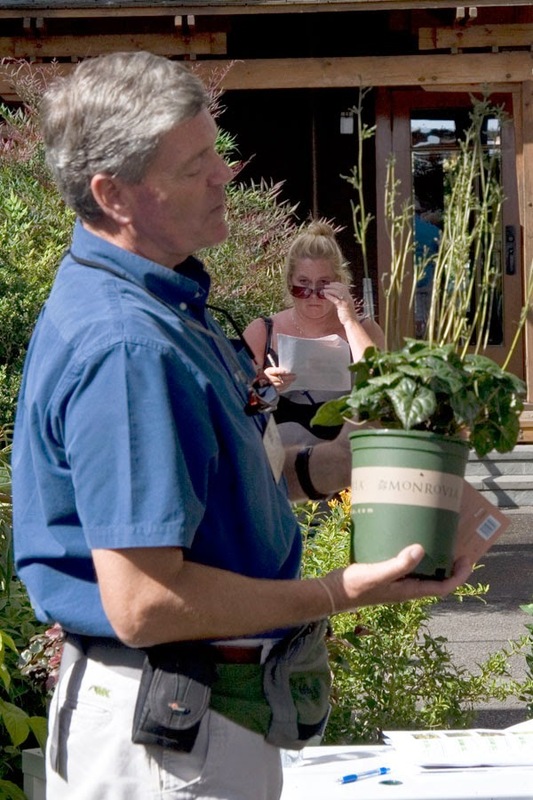 Closing out the day was Monrovia spokesman Nicholas Staddon, who showed off some of his favorite new selections in The Dan Hinkley Plant Collection®, named after the famed plant explorer.